Emails are an integral part of our communication with the world. That is why like verbal etiquette there is a lot of stress on email etiquette. Some of them include sending emails at the right time, following up on previous emails, wishing your colleagues on various occasions etc. It is understood that a valuable part of our day goes in Email management. To further make us more efficient at work, we have the option to schedule our Emails to be sent out. So, next time you are going on a long holiday and want to schedule some emails then this article will be going to help you. 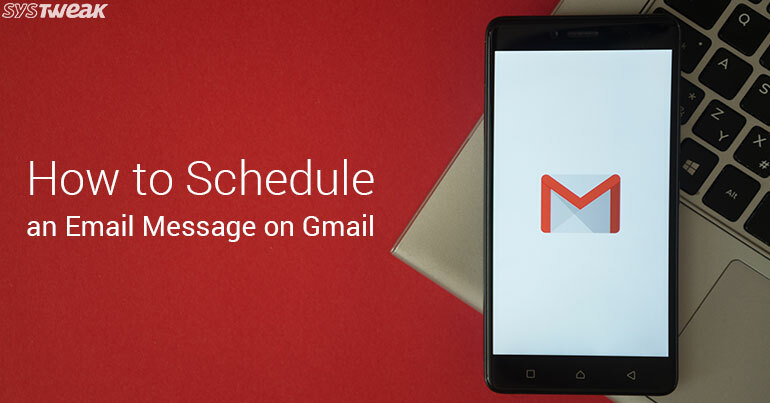 Let us find out how to schedule email messages on Gmail. Usual way to send an email is to click on the “Send” button after composing the email. As of now Gmail does not have any in-built option to automatically send an email at a pre-decided time. However, you can use an extension on Google Chrome for this. One of the popular extension available is, Boomerang, which gives you a plethora of options to use Gmail more efficiently and effectively. It allows the user to schedule an email for later date and set reminders on Gmail. To add Boomerang, click on the three dots (…) found at the top right corner of Google Chrome browser. Click on “More tools” and then on “Extensions”. Now, click on “Get more extensions” found at the bottom left of the screen. You will be in the extension store. Search for Boomerang. Add Boomerang for Gmail to Chrome browser. Once you have added the extension to your browser, refresh your Gmail. You will notice that there will be a colorful icon on the top ribbon near apps icon (Six squares). Click on Compose to compose a new email. You will notice that there are two options send and send later. Next to this you will get a drop down in which you can select a time after which your email needs to be sent or you can specify a date and time on which the mail is supposed to be sent. Choose a Date and Time and click on Send Later. Anytime if you realize that you need to cancel the scheduled email or need to make modifications in the time you have scheduled for sending the email then you can click on Boomerang icon and click on “Manage scheduled messages”. You will find all your scheduled emails here and can make changes accordingly. So, this is how you can now, never miss to send an email to anyone. If you are going on a long holiday schedule your emails and enjoy the vacations. Is Facebook Going Too Far With Its Identity Checks? Can You Trust Your Smartphone?